We present concepts in multiple formats so you can use the most effective mode to succeed on the ABIM exam. No question about it - all internal medicine board exams, including the ABIM exam and internal medicine shelf exam are challenging especially since your time spent studying must be balanced with your medical practice. Research indicates that for most people memory retention is strongest when information is viewed through audio/visual aids. Each of our high-yield IM Boards style questions is enhanced with audio/video explanations - and complemented with text and PDF explanations as well. See some of Knowmedge's internal medicine practice questions. 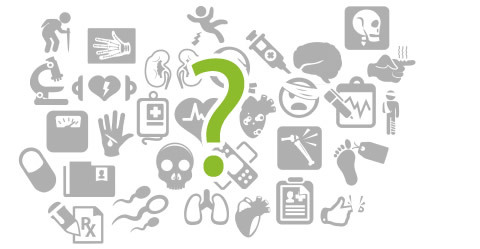 Our collection of Internal Medicine Board Exam style questions is still growing. But don't let the quantity alone impress you, each of our questions is crafted to reinforce key concepts addressed by any internal medicine board exam. Similar to the IM board exam, you'll have the opportunity to practice a mix of clinical vignettes as well as other general multiple choice questions. How can you improve if you don't know where your weak areas are? 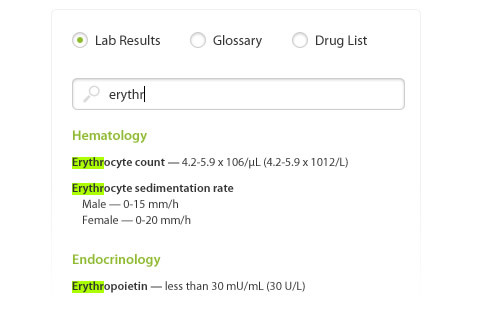 Our internal medicine question bank breaks down each question into a medical and diagnostic category. So you know that you are specifically struggling with Cardiology / Arrthymia questions. The Knowmedge content was developed after reviewing the ABIM Exam Blueprint and developing categories that would be most likely to be seen on any internal medicine board exam. 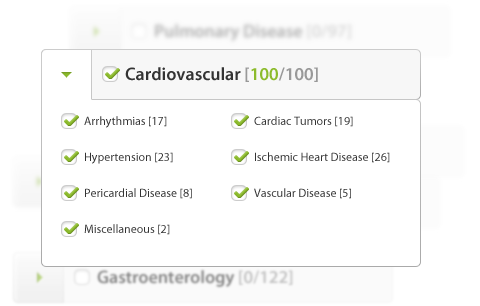 Our Internal Medicine Board Review question bank contains 12 medical categories and over 100 diagnostic categories! Our user-friendly platform allows you to quickly review your strengths and weaknesses so you can really focus on and fill the gaps in your Internal Medicine board exam study plan. We also show you the number of days left until the exam and give you a view of how many questions you need to practice every day. Keep a tab on your vitals with our interactive dashboard. 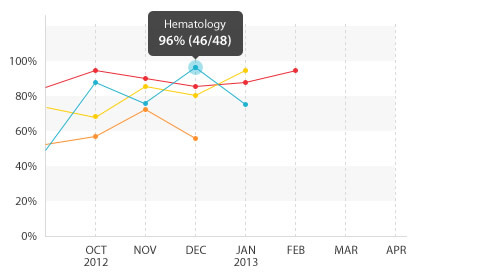 Featuring multiple views, it displays your performance metrics across internal medicine categories over time. You can quickly and easily track your performance in each category. In addition, you can see how well you stack up against your peers! Ever been frustrated by not being able to copy, paste, or take a screenshot from other question banks? 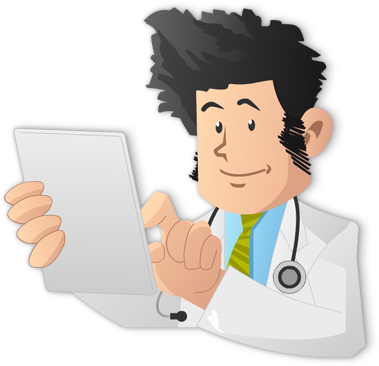 The Knowmedge internal medicine question bank is different. 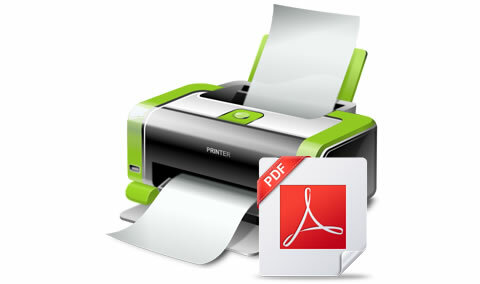 We understand people like taking notes and having printouts - so we make it easy for you! With one simple click you can have a printout of any of our explanations. See sample printouts of our ABIM style question animations. Knowmedge's internal medicine boards / ABIM exam questions platform contains a searchable reference list of lab results, glossary terms, and generic drugs. Ever practice a question and wish you could ask the author a follow-up question for clarification? With the Knowmedge internal medicine board exam questions platform, you can do just that! Through our proprietary OnCall feature, our team of Internists are available to serve you as your prepare for the Shelf exam or the ABIM exam. Use our one-click question service to ask our writers / MDs a question and we will happily respond to your queries. Make our internal medicine board exam prep questions your own by adding notes, highlights, and flags. Not ready to start studying yet? No problem! You can still get any Knowmedge internal medicine board exam review questions package and activate at your convenience. Your subscription days don't actually start until you activate the question bank. We are confident that you will love the Knowmedge Internal Medicine Board Exam certification / maintenance of certification (MOC) platform. But if for any reason you don't love us - we'll return your money. Just let us know within 14 days of your purchase!